We often complain that Hollywood doesn’t come with many original ideas anymore, and we actually have done so this month with our SuperFly review. Luckily, sometimes a fresh idea does pass the revue, and while not all of them may be groundbreaking or good for that matter, it still shows that original ideas exist and might just end up on your TV eventually. This time we get to discuss what Searching is about. The movie tells the story of a father who is desperately looking for his missing daughter by recollecting her steps via her PC and internet activity. Luckily this doesn’t mean you’ll see an old fart behind a monitor and keyboard for the duration of the movie, but you’ll actually be in on the action by seeing what he’s looking at, what clips he’s viewing, what chats he’s browsing through, and so on. We had a bit of difficulties getting into the format, but after a short while we couldn’t get our eyes off the prize. 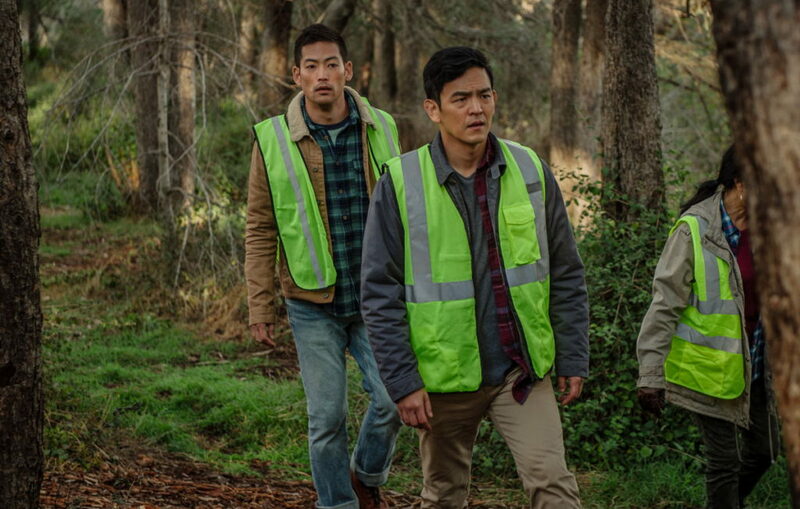 In Searching we get to meet the Kim family, which consists out of David Kim (John Cho), Pamela Nam Kim (Sara Sohn) and Margot (Michelle La). We see Margot growing up by the usage of old video material, as most of the action comes from a PC monitor. We also see that Pamela has cancer, recovers, only to relapse and never recover. This has put a lot of strain on the family and due to this, both father and daughter seem to become a bit estranged, but not too much as both parties still realize they love each other. When Margot doesn’t show up after a study group session, David gets worried, but his feelings subside when he learns a lot of off-behavior on Margot’s part, but he also gets confirmation that she is on a small trip with friends. 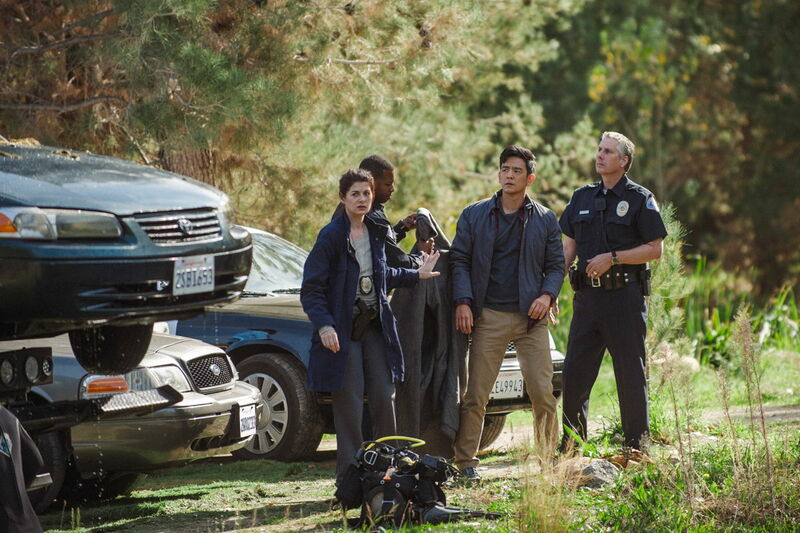 When the so-called trip ends, and she doesn’t come home, David immediately calls for help, and before he knows it het gets into contact with detective Vick (Debra Messing), who is an expert in missing persons cases. During the hellish journey of finding Margot’s whereabouts, David discovers that Margot was up to a lot of sneaky behavior David knew nothing about, making it unclear if his daughter was kidnapped, ran away from home, or was simply mixed in with some shady business. The flow of the movie feels just right, even though it does take a while to get into how the movie is portrayed. You’ll follow everything through the eyes of cameras, chat screens, texts, and so on, with barely any live action footage with our modern technology connected to it. Even though at first it seems a bit dull and like the creators were trying too hard, eventually it becomes an interesting format in which you, the viewer, start thinking about what may have happened as well, and before you know it, you’re looking for clues too. The movie is fairly slow, but it suits the narrative and in the end it actually makes the movie more pleasant, even with its rather heavy topic in place. This is one of those movies that seemed hard to get into at first, but eventually drives you to the edge of your seat with several ‘OMG’ and ‘WTF’ moments. 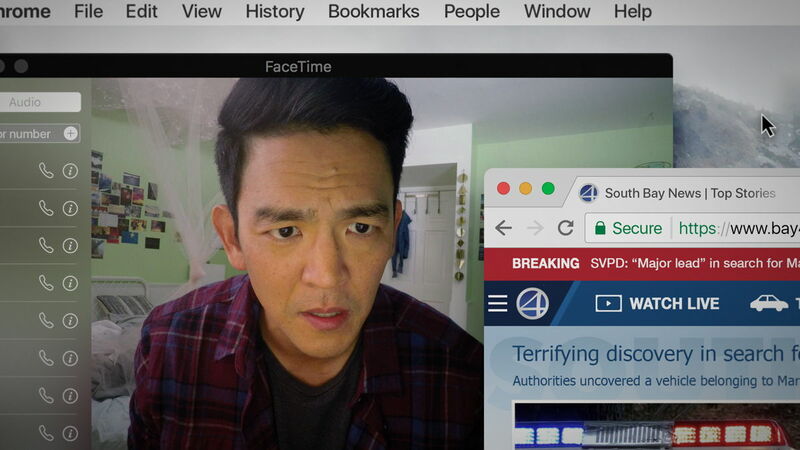 Most of the time, when there are actual people on the screen, you’ll be watching John Cho’s performance, and to a lesser extent Debra Messing’s. Both leading roles are filled in properly and convincingly and you actually manage with these two doing most of the work. Of course, supporting cast members, such as Michelle La and Pamela Nam Kim do a superb job in setting the tone of the movie, and of course Michelle’s role as the missing girl, who left a lot of content on her PC is the cornerstone of the story. Searching’s Blu-ray version comes with a set of extra content, which dives into how the movie was made, that it was actually meant to be a short movie that only spanned around eight minutes, but there’s also an interesting tidbit about Easter Eggs in the movie. For those that are thinking about actual eggs, in this setting it means that the movie was riddled with hidden jokes. The creators show us many funny and interesting links that we may have overlooked when looking at the many internet screens throughout the film. Things range to actual hints of what is going on, to a big subplot that is unfolding in the world of Searching as well. We advise you not to look too much when watching the first time, but it might be fun to analyze certain scenes when you decide to rewatch this film. Searching might prove to be a bit difficult to get into at the beginning of the film, but it’s one of those scenarios that proves to be worth it if you stick around. The film is told by an original way of storytelling, by the usage of browser screens, Facetime chats, Google searches, YouTube and so on, and it’s actually something very appealing for a story such as this. The viewer gets drawn into the actual research of the missing person and you’ll notice that you’ll get more and more attached to the ongoing case. If you love unconventional mystery movies or thrillers, then this movie might just as well be worth checking out.